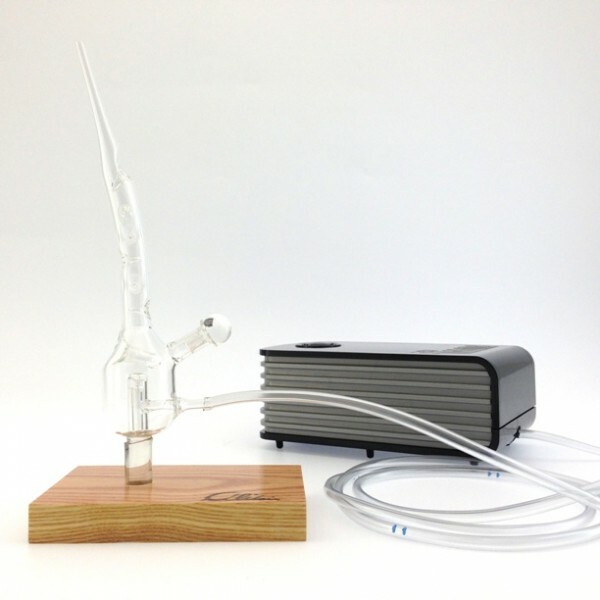 Ideal for oils used therapeutically or simply for pleasure, this diffuser vaporizes millions of microparticles in the air without alteration or heating. Includes: 1 Letellier handmade glassware, 1 wooden or stone base, and 1 adjustable compressor (Optima: capacity of 5 L/min.) with tubing.